The NHL won’t be participating in the Winter Olympics, but several former Chicago Blackhawks will be suiting up for their country. Team Canada announced its 25-man roster on Thursday morning, and three former Blackhawks players will don the Maple Leaf sweater in PyeongChang. 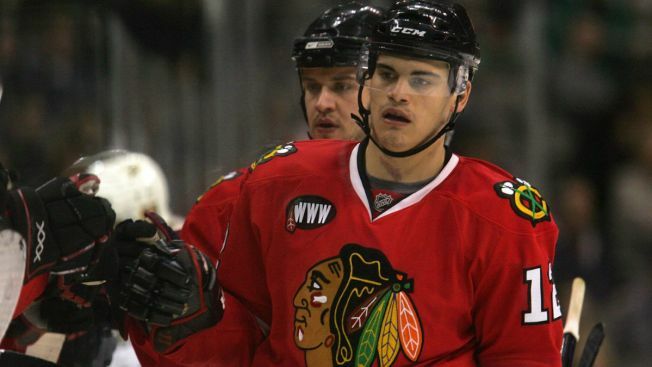 The longest-term Blackhawks player to make the team was Rene Bourque, who is currently playing for Djurgardens IF in the Swedish Hockey League. Bourque played with the Blackhawks for three seasons before signing with the Calgary Flames after the 2007-08 season. Andrew Ebbett, who appeared in 10 games with the Blackhawks during their Stanley Cup winning 2009-10 season, also made the squad, as did former Blackhawks farmhand Rob Klinkhammer, who appeared in one game for the team. He also played with the Rockford IceHogs for four seasons. Canada’s first game is scheduled for Feb. 15 when they take on Switzerland in preliminary round play.